Valid for online purchases only 03/21/2019-06/21/2019. Simply add Voucher/ Discount Code SPRING10 in the Voucher Box during check out to receive this discount. No rain checks, can only be applied to online purchases made during the dates above and before an order has shipped. 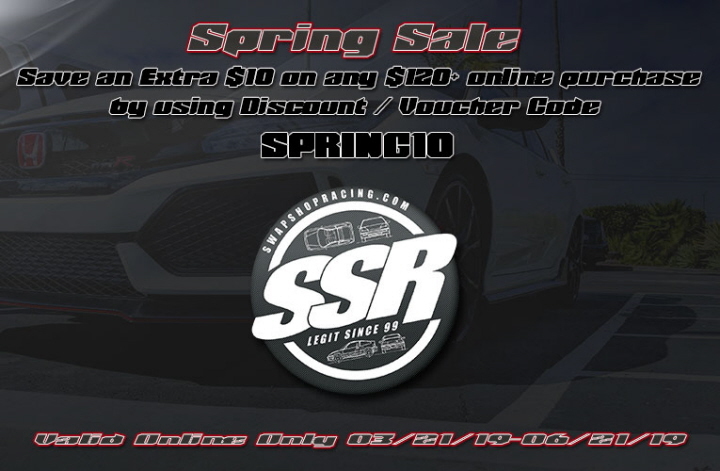 Please e-mail us for details or any questions info@swapshopracing.com . Please Note: This offer is valid only for on-line purchases for a limited time! This promotion will override any other voucher or discount codes but is valid with any other online specific product special.